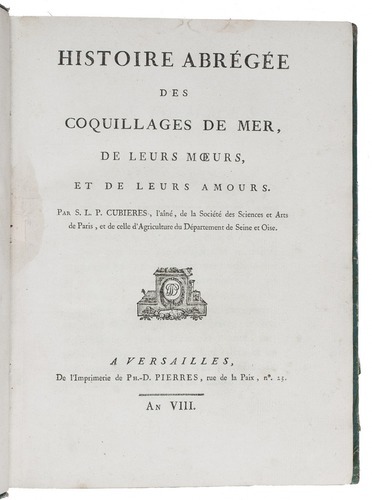 Histoire abrégée des coquillages de mer, de leurs moeurs, et de leurs amours. Versailles, P.D. 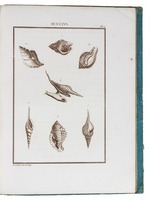 Pierres, An VIII (1799-1800). 4to. 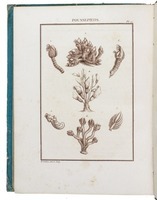 With an engraved headpiece and 21 engraved plates printed in brown. 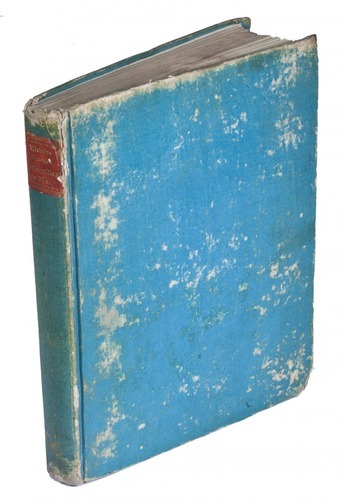 Contemporary blue boards, spine with red title-label. 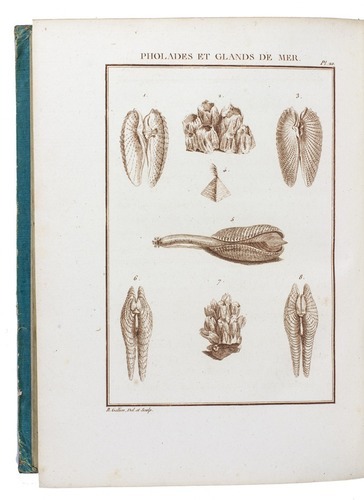 Second edition of a conchological work, addressed to female readers, by the French writer and naturalist Simon Louis Pierre Cubières (1747-1821). 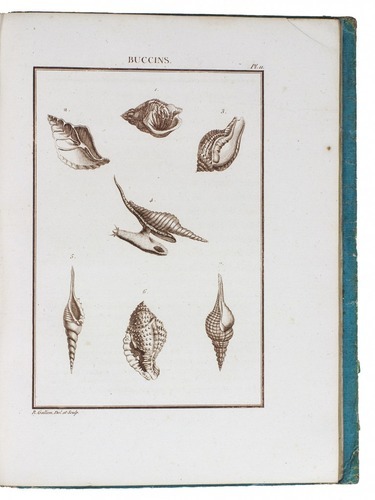 He opens with a preface, headed "aux femmes", followed by a general introduction to natural history and seashells. 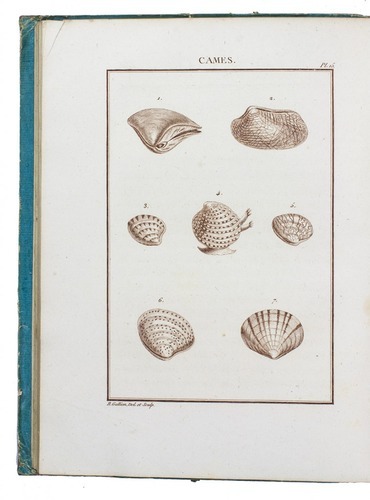 The following chapters are devoted to the classification of sea shells (univalves, bivalves and multivalves) each dealing with a different family of these classes. 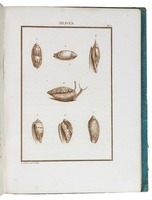 Each plate depicts several shells, included at the end of the text is a list with the names of all the depicted shells. 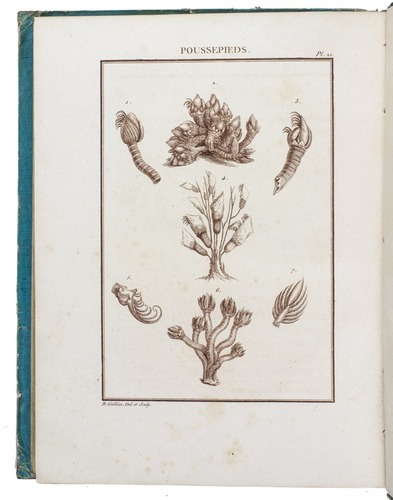 A few small spots and a small water stain in the upper margin of the first few pages. Binding rubbed. Overall in very good condition. Junk, Thes. libr. 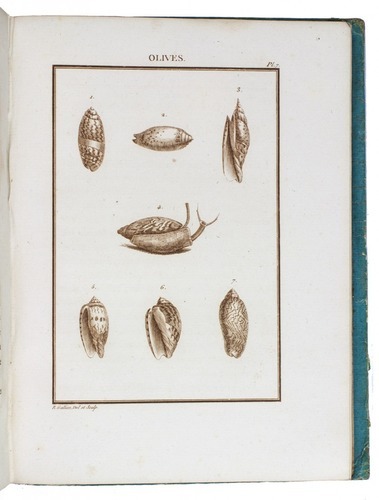 conchyliorum 80; Nissen ZBI, 995.